B: Hello, this is Alexa Johnston. May I speak to Jack Mellor, please? A: He’s actually in a meeting at the moment. But maybe I can help you. 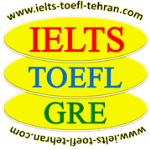 راستش در حال حاضر جلسه است. اما شاید من بتونم کمک تون کنم. B: Well, I’m calling about our meeting tomorrow. I’m afraid something has come up. One of my clients has brought forward our appointment in the afternoon to 12 o’clock. So I wanted to ask Jack if we could meet a bit earlier in the morning, so that I don’t have to rush. A: Let me just check Jack’s schedule. OK… How about 9 o’clock. B: Yes, that sounds fine. A: Great. I’ll tell Jack about the new time. And just give me a call if there are any more changes. عالیه. جک را در جریانِ این وقت جدید میگذارم. فقط اگر هر تغییر دیگری پیش آمد بهم زنگ بزن و خبر بده. B: I’ll do that. Thanks very much for your help. باشه حتما. به خاطر کمکتان خیلی متشکرم. A: You’re welcome. Bye now. Hineman Pharmaceuticals. Francesca Davis speaking. صنایع دارویی «هاینمن». فرانسیسکار دویس صحبت میکند. Hello. This is Viktor Klein calling from Swiss Optiks in Basel. سلام. ویکتور کلین از سوئیس اوپتیکس در بازل هستم. Ah, Mr. Kleing, nice to hear from you again. آه، آقای کلین خوشحالم که دوباره صدای شما را میشنوم. I’m calling because I wanted to follow up our conversation from yesterday. Remember, we talked about a possible order for saline solution. برای این تماس گرفتم که گفتگوی دیروزمان را تکمیل کنم. یادتان که هست، در مورد سفارش احتمالی محلول نمک صحبت کردیم. That’s right. You said you wanted to compare products and prices from different suppliers, didn’t you? Yes, well I’ve done that now, and I’m pleased to say that we are interested in your products. بله، خب الان این کار را انجام دادم و باعث خوشحالی من است که بگویم ما به محصولات شما علاقه مند شده ایم. Yes, yes, but can I just say something? I wanted to ask if there was any possibility of a discount, say if we ordered a certain quantity. What do you think? Well, I think we have a certain amount of room to manoeuvre, but I would have to check with my boss first. Can I talk to her and get back to you? I can do that right now if you don’t mind waiting for a couple of minutes. Is that OK? Great, I’ll just put you on hold…. Right, I’ve spoken to my boss and I can offer you a five percent discount on orders over 500 cases. How does that sound? Five percent when we order more than 500 case? That sounds very reasonable. Of course, I’d need to discuss that again with my boss, but I think I can tentatively say that you can expect an order from us in the next couple of days. زمانی که بیشتر از ۵۰۰ عدد سفارش دهیم، پنج درصد تخفیف میگیریم؟ خیلی معقولانه به نظر میرسد. البته باید با رئیسم حرف بزنم. اما فکر کنم بتوانم از روی تجربه بگویم که ظرف چند روز آینده منتظر یک سفارش از طرف ما باشید. I’m delighted to hear that. Just let me know if there’s anything else I can help you with. مشتاقانه منتظر شنیدن خبرش هستم. فقط اگر کمک دیگری هست که میتوانم برای شما انجام دهم بفرمایید. I’ll do that. Anyway, I’m sure we’ll talk soon. همین کافی است. به هر حال، حتما به زودی صحبت خواهیم کرد. Sylvia: Micah Information Systems. Sylvia speaking. سیلویا: سیستم اطلاع رسانی «میکاه». سیلویا صحبت میکنه. John: Hello. This is John Ellis from Retex Plc. Could I speak to Nima Sharifi, please? Sylvia: I’m afraid Mr. Sharifi is in a meeting. Can I take a message? John: Yes, please. Could you ask him to call me back? Sylvia: Certainly. Could you tell me your name again, please? John: My name is John Ellis. And I’m calling from Retex Plc. جان: اسم من «جان الیس» است و از شرکت سهامی عام «رتکس» تماس میگیرم. Sylvia: Does Mr. sharifi have your number? Sylvia: 3 9 7 8 3 4. That’s great. Okay Mr. Ellis, I’ll tell Mr. Sharifi you called. سیلویا: ۳۹۷۸۳۴.عالیه. خب آقای الیس من به آقای شریفی میگویم تماس گرفتید. John: Thanks very much, Sylvia. Sylvia: You’re welcome. Bye now. A: JKL consulting. Anke Schmidt speaking. مشاورهی «جی کی ال». آنک اسکمید صحبت می کنه. B: Hello. This is Ricardo Fonseca from Aresto. Could I speak to Jonathan Leary, please? A: Oh, I’m afraid Jonathan isn’t here at the moment. Would you like to leave a message for him? A: Just a moment. Let me get a pen. ……… Ok, I’m ready now. Go ahead. فقط چند لحظه صبر کنید. بگذارید یک خودکار بردارم. …… خب الان آماده ام. بفرمایید. B: Right. I was calling about the Euro Medical trade fair next week. Jonathan mentioned that he was thinking about going. So I just wanted to check if he’ll be there, and if so, if he has time to meet me. A: Let me just make sure that I got that right. You’re going to the Euro Medical trade fair next week, and you’d like to know if Jonathan will be there, and if two of you can meet. فقط اجازه بدید مطمئن که پیغامتان را درست گرفته ام. شما قصد دارید به نمایشگاه تجاری یورو مدیکال هفته آینده بروید، میخواستید بدانید که آیا جاناتان به آن جا می رود، و آیا شما دو نفر می توانید همدیگر را ملاقات کنید. A: Shall I ask Jonathan to call you back? مایلید که از جاناتان بخواهم پیرو تماس تان به شما زنگ بزند. B: Yes, that would be good. A: Ok. Um …. Does he have your number? B: Yes, he does. I’ll be in the office until about 5 p.m. today if he wants to call me. بله دارد. اگر خواست تماس بگیرد، من حدودا تا ۵ بعد از ظهر در اداره / دفترم هستم. A: That’s great. I’ll make sure Jonathan gets your message. عالیه. حتما خاطر جمع باشید که جاناتان پیغام تان را میگیرد. A: Your welcome. Bye now. Reva: Hume Sensors. Reva Burgos speaking. ریوا: «هیوم سنسورز». «ریوا بورگس» صحبت می کنه. Tom: Hello Reva, this is Tom Dickson from Sykes Electronics here. تام: سلام ریوا، « تام دیکسون» از «سایکس الکترونیکس» هستم. Riva: Oh hello, Tom, how are you? Tom: I’m a bit stressed to tell the truth. There appears to be a small problem with your latest consignment. تام: از این که حقیقت رو بگم یه کم آشفته ام. به نظر میرسه در آخرین محموله تون مشکل کوچکی به وجود اومده. Reva: Oh dear. I’m sorry to hear that. What’s the problem exactly? Tom: Well, you know we ordered your FR 346 sensor last week. تام: خب، میدونید که هفته ی پیش سنسور FR346 را سفارش دادیم. Reva: Yes. 1200 units, if I remember correctly. تام: دقیقا. به هر حال چند تا از جعبه ها حاوی مدل سنسورهای اشتباهی به نام FR 388 هست. Reva: Oh, I’m very sorry about that. That must be really annoying. ریوا: اوه، در این مورد متاسفم. واقعا باید ناراحت کننده باشه. Tom: well, it has caused problems with our production schedule, to be honest. تام: خب راستش این اشتباه باعث بوجود آمدن مشکلاتی در برنامه تولید ما شده. Reva: Yes, I can imagine. It’s good that you’ve brought it to my attention. Listen Tom, I’ll get on to this problem immediately. How many units are missing exactly? تام: بگذار الان چک میکنم … ۱۳۰ تا. Reva: 130. Right. Well, this is what I’m going to do. I’ll send you 130 units of the FR 346 by express delivery with Swift Logistics. You should have them first thing tomorrow morning. ریوا:۱۳۰تا. درسته. خب این کاری هست که قصد دارم انجام بدم. من ۱۳۰ تا FR 346 را از طریق پست اکسپرس با «سوئیفت لوجستیکس» (گروه تهیه و توزیع فوری) میفرستم. اولین چیزی که فردا صبح دارید این ها (سنسورهای FR 346)هستند. Tom: That’s excellent. Shall I send you the wrong sensors back? Reva: Yes, I’ll tell the logistics company to pick the boxes up when they deliver the correct units. Tom: Great. Well, thanks for sorting that out, Reva. 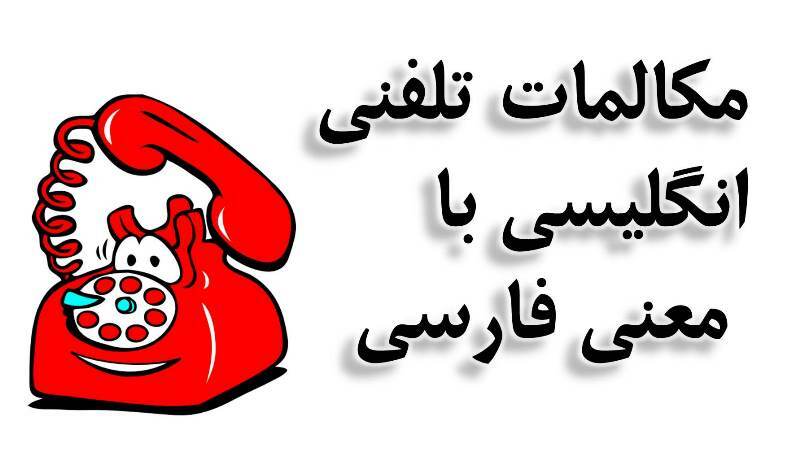 تام: عالیه. خب «ریوا» بابت رفع و رجوع این مسئله متشکرم. Reva: It’s the least I can do. Again, I’m really sorry about the mix-up. I’ll personally make sure it doesn’t happen again. ریوا: حداقل کاریه که میتونم انجام بدم. بازم بابت پیش اومدن این مشکل واقعا متاسفم. من شخصا خاطر جمع میشوم که دیگه همچین اشتباهی پیش نیاد. Tom: That’s great, Reva. Thank you. Talk to you later. تام: عالیه «ریوا». متشکرم بعدا حرف می زنیم.